ASN is seeking sponsors to help make Nutrition 2019 family friendly. 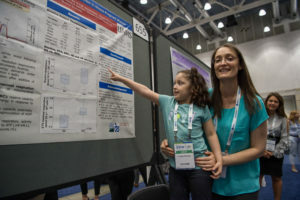 Your support will allow ASN to again offer small grants that aid in offsetting care-giving expenses to enable scientists with dependent children or family members to present their research in Baltimore. This was extremely popular at Nutrition 2018 and greatly appreciated by all those who received grants and were able to attend. Challenges graduate students in nutrition by providing a special oral session in which they compete in presenting their research findings. Promotes interest in clinical and human nutrition. Candidates must be ASN member graduate students or medical trainees who have not yet received a doctoral research degree. Promotes interest in international nutrition. Candidates must be members of ASN’s International Nutrition Council, with priority given to graduate students at universities in low-income countries. Encourages young professionals to succinctly translate their research findings to various audiences. 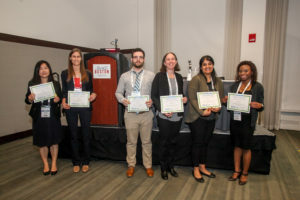 Help ASN ensure the participation in Nutrition 2019 of emerging nutrition scientists. Grants are based on scientific merit. ASN welcomes funding to make it possible for nutrition colleagues to attend Nutrition 2019 through travel scholarships. Your company’s support can be targeted to specific audiences – by work setting, career stage, interest area, geography, etc. This is an excellent way to build relationships and help expand the reach of all that Nutrition 2019 has to offer. Keith Dillon, Senior Director, Corporate Affairs/Vice President, ASN Foundation at kdillon@nutrition.org and 240-428-3601. All sponsorship and promotional opportunities are subject to change and availability. Per ACCME’s Standards for Commercial Support it is prohibited to include company logos and product listings of any commercial interests in educational materials and disclosure of commercial support. A commercial interest is defined as any entity producing, marketing, re-selling, or distributing health care goods or services consumed by, or used on, patients. Join ASN and share your expertise with like minds.